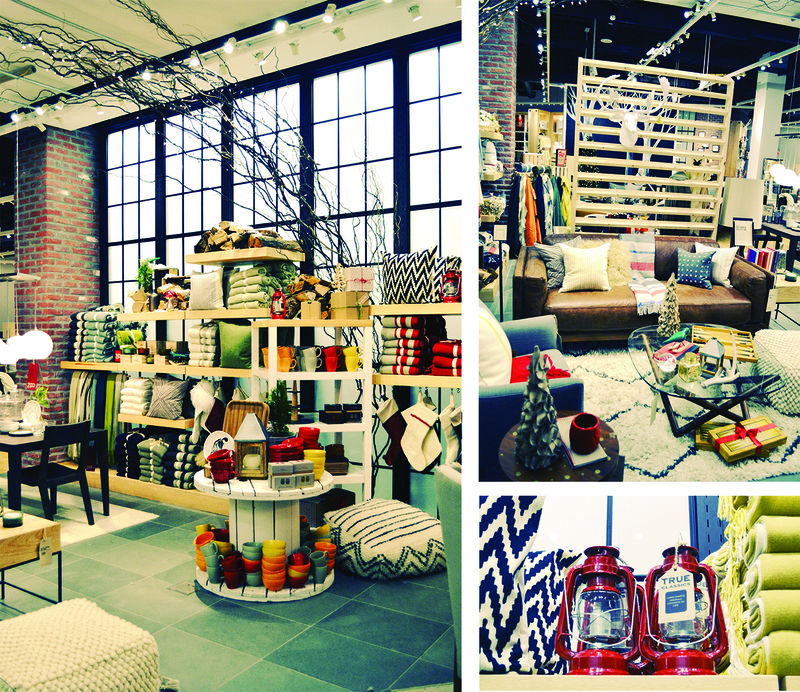 West Elm is one of my favorite stores and I recently had the privilege of touring their 2013 holiday collection. 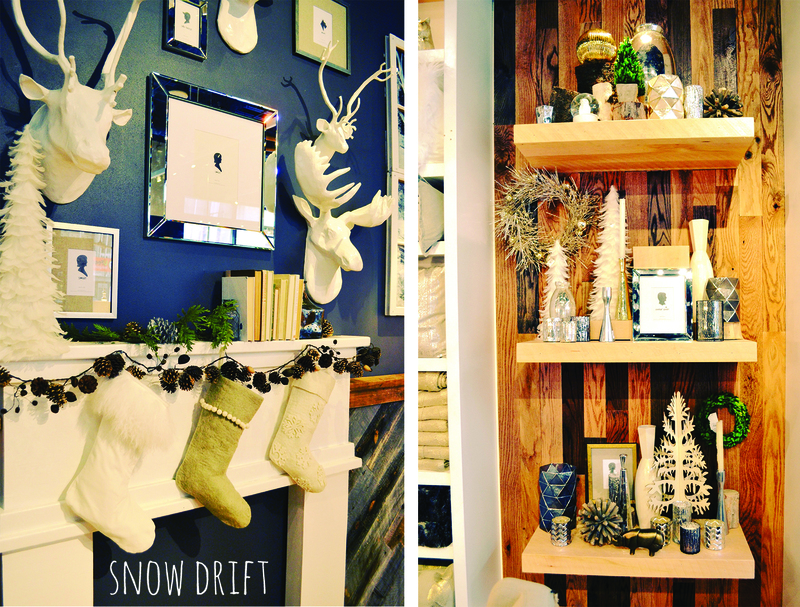 Their collection is represented in three concepts – Snowdrift, New Heritage, and Enchanted Forest. 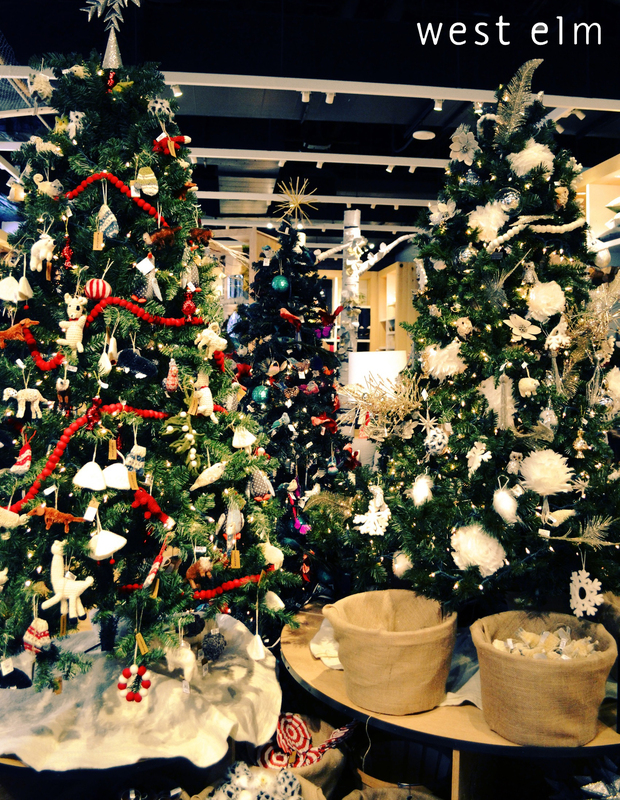 When you first walk into the store they have an adorable tree to fit each theme. I was instantly drawn to the sparkly bright Snowdrift section. Mostly neutral with accents of gold and silver it’s the perfect collection for the city sophisticate. I’m completely in love with the faux mongolian lamb pouf (down in the left hand corner). And they also have some beautiful chunky knit pillow covers. 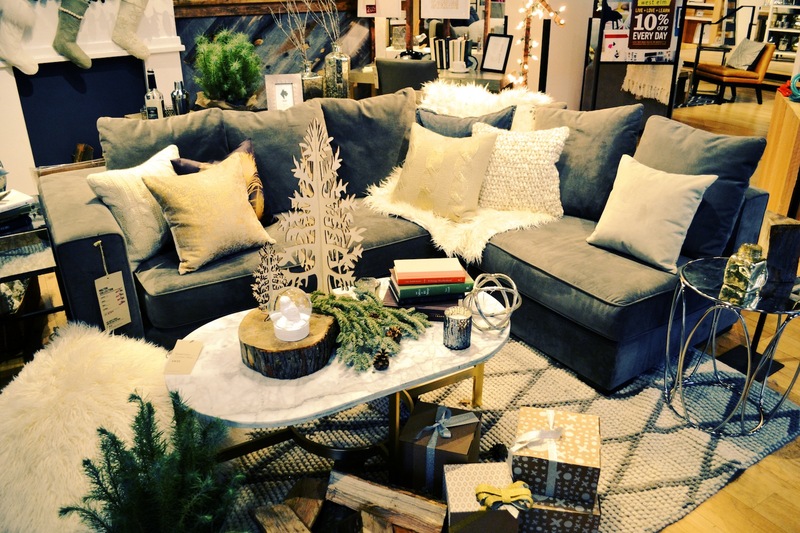 Two unique ways to winterize your living room! Another item in the Snowdrift section I was intrigued by was the Party In a Box. 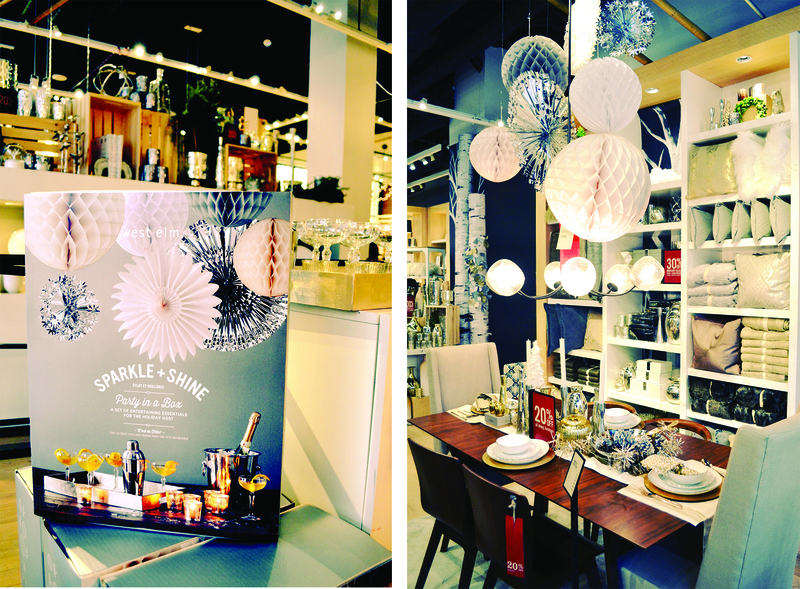 It comes with paper globes and fans, confetti, candle holders, a cocktail shaker, 6 glasses and a lacquer tray. It’s a great option if you’re having a small house party over the holidays or for New Year’s. The New Heritage collection was more traditional New England style with a rustic outdoorsy feeling. 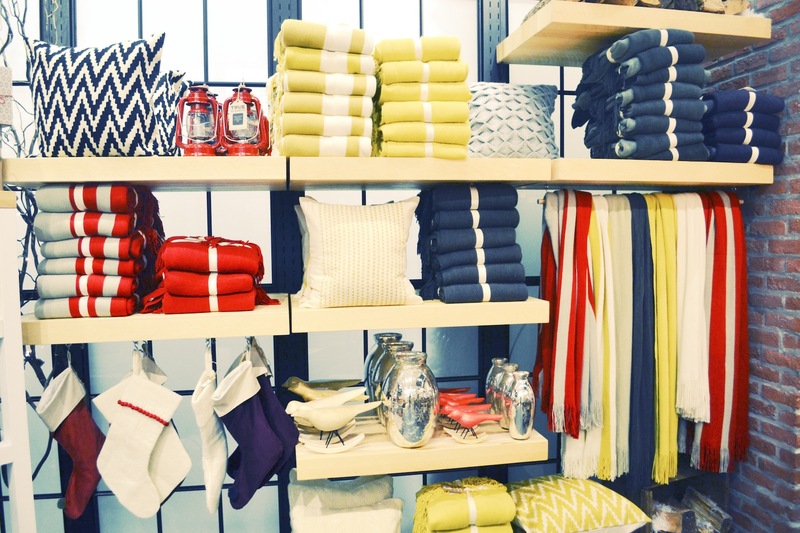 From mini lanterns to heavy knit blankets (especially loved the ones in collaboration with Fairbault) this area of the store makes you daydream about being snowed in. The third and final collection, Enchanted Forest, had a less overt holiday feel, which is actually a bit of a bonus because you can easily carry the pieces over into the new year. 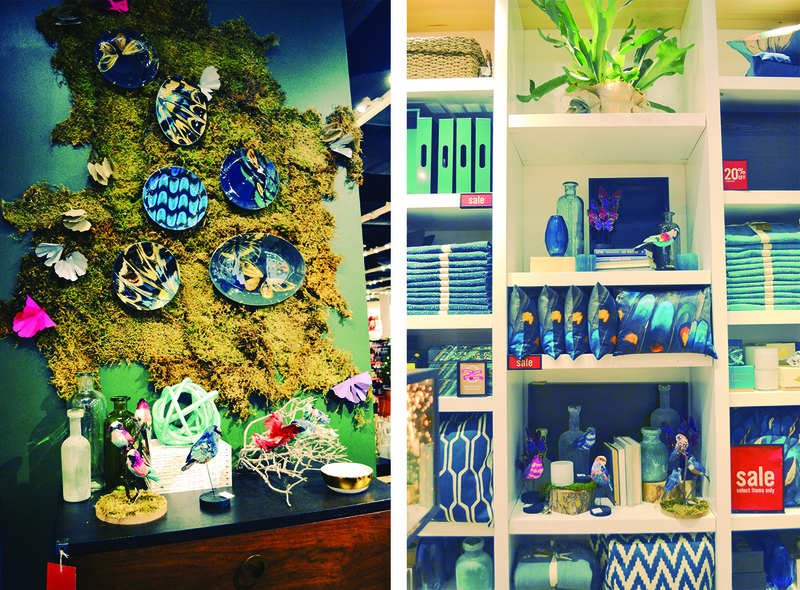 The collection includes a lot of jewel tones and exotic critters.